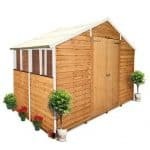 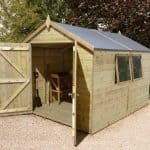 This wooden shed is a good size and will work in many garden spaces. 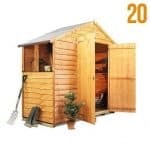 It comes with large double doors which means it is easy to access all of your gardening equipment inside. 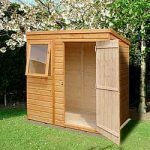 There is an attractive functioning window to the side which allows plenty of light and air inside and is great for ventilation. 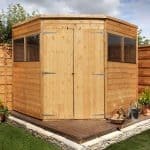 The Apex style roof makes this a very handsome addition. 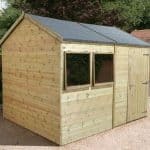 Constructed from tongue & groove Shiplap cladding it is a strong and durable building and will last for years. 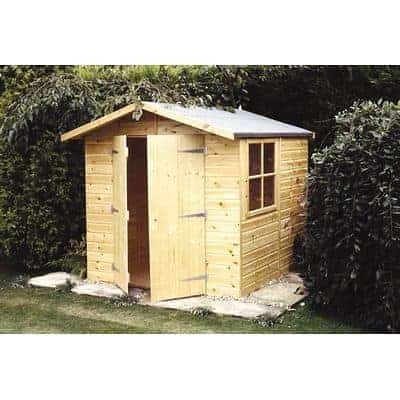 This product is home delivered with the base.